With 2018 looming just around the corner, what better time to look back at the best street style moments of 2017. Clad in bright colours and interesting layers, this year’s most notable fashion insiders definitely made a statement. With each major fashion week having its own unique slew of amazing outfits, it is hard to choose just a few worthy moments. The street style trends spotted this year are hard to generalise, as so many creative things were happening at once. 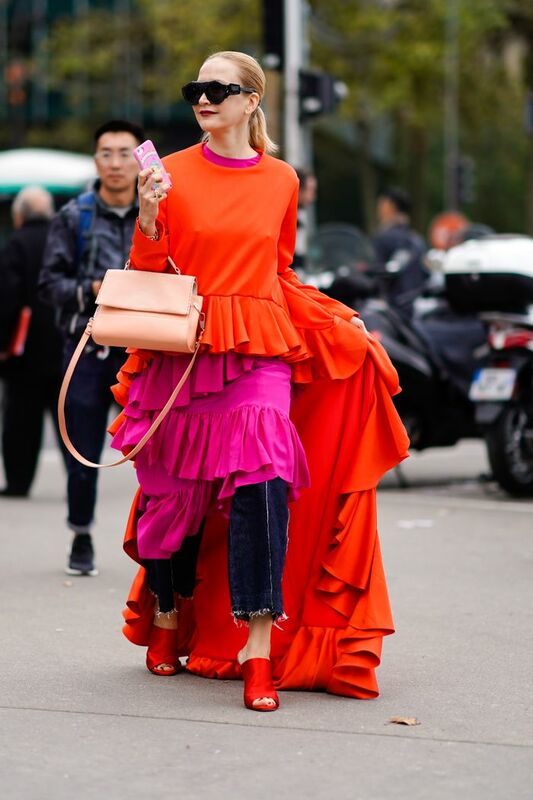 Despite the wide range of styles and trends worn by street style stars over the past year, there seems to be one constant factor: everything was done with a hint of fun. While 2016 felt more tailored overall, 2017’s best street style moments embraced new textures and silhouettes. Just as the textures and shapes became less rigid, so did colour palettes. Bright statement pieces appeared again and again, moving away from the toned-down hues of 2016. 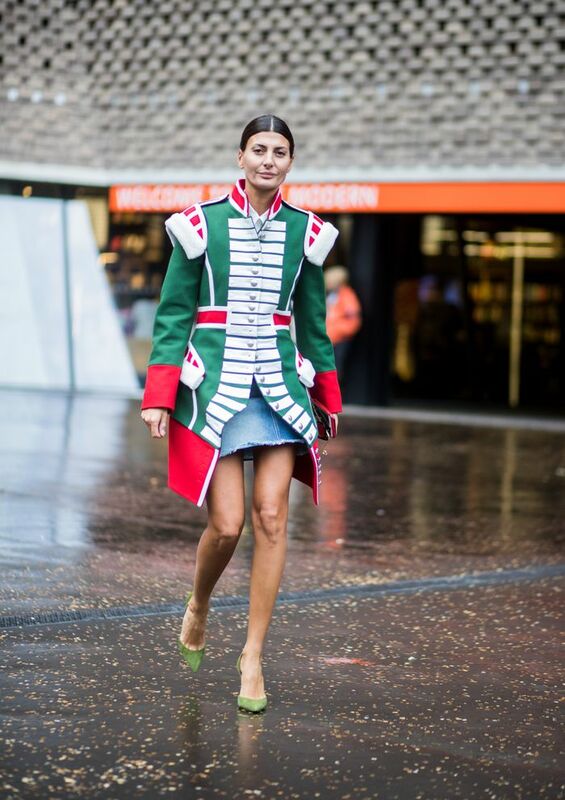 From Anna Dello Russo’s girl gang selfies, to Giovanna Engelbert’s toy soldier-esque jacket, 2017 street style felt undeniably happy. Perhaps as backlash from past years’ more rigid looks, or perhaps just putting a new spin on them, 2017’s best looks were full of personality. Keep reading to scroll through 2017’s most memorable street style moment, and tell us your favourite in the comments below!